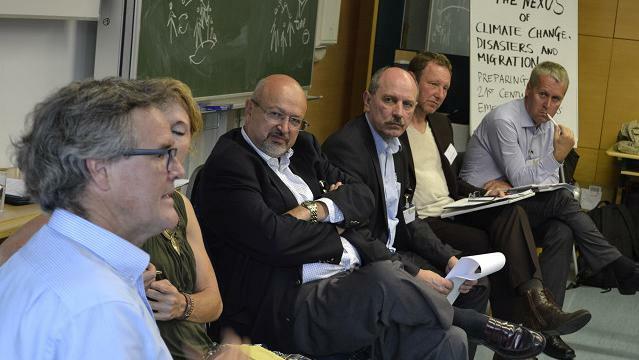 During the European Forum Alpbach 2016, UNU-EHS facilitated a workshop including a high-level panel discussion on “The nexus of climate change, disasters and migration – Preparing for the 21st century’s emerging risks”. 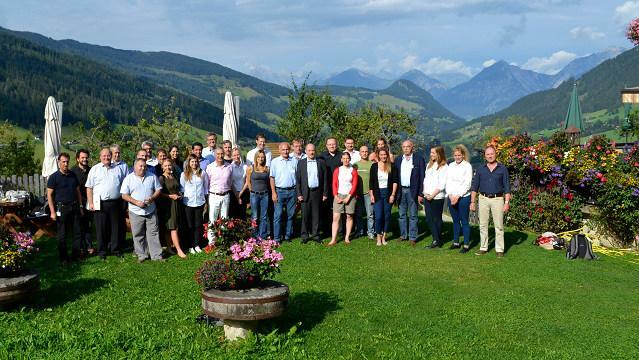 The event took place from 27-29 August 2016 and was jointly organized with the United Nations Office for the Coordination of Humanitarian Affairs (UNOCHA), the Inter-national Organization for Migration (IOM), the Global Logistics Cluster/World Food Programme (WFP), the Austrian Federal Ministry of Interior (BMI) and the Civil Protection of Tyrol, Austria (CP). Diverse actors representing academic, operational, political and non-governmental levels formed an interdisciplinary group. Participants worked on topics ranging from mass evacuation in interna-tional disasters, climate resilience in small island states, to disaster risk diplomacy and the challeng-es of humanitarian access. The broad variety of attending experts facilitated fruitful discussions and created space for the development of new approaches and innovative trans-disciplinary networks. The workshop concluded with a high-level panel discussion as part of the Political Symposium of the European Forum Alpbach 2016. Chaired by Prof. Dr. Jakob Rhyner (Vice-Rector in Europe, UNU-EHS), this event brought together panelists Rudolf Müller (Director a.i., UNOCHA Geneva), Atle Solberg (Platform on Disaster Displacement), Robert Stocker (Austrian Federal Ministry of the Interior), Dr. Koko Warner (UNFCCC), and as a special guest, Lamberto Zannier, (Secretary General, OSCE). About 80 participants formed a heterogeneous international audience consisting of high-ranking politicians, ambassadors, military officers, students and other interested attendees who contribut-ed to a lively and constructive discussion with meaningful statements and questions. All panelists pointed out the importance of raising awareness for the complexity of population movements. They recognized the influx of refugees as one of this century’s new realities rather than an acute crisis. In light of climate change and exacerbating crises, the panellists highlighted the need for truly understanding migration in its many forms in order to emphasize the critical role of international organizations in addressing the crosscutting character of these challenges.